Although US players have to dig a little deeper to find online casinos that accept American players, there are a few online casinos that offer premium gaming experiences, have an excellent selection of real money casino games and have a wide variety of USD banking options available. Is gambling online legal in the U.S.A? Online casinos are banned in a majority of US states, but online gambling in the United States also presents a bit of a grey area. While online sports betting, casino gaming and placing wagers over the Internet is illegal, there are plenty of internationally-based gaming providers that continue to offer their services to American players. 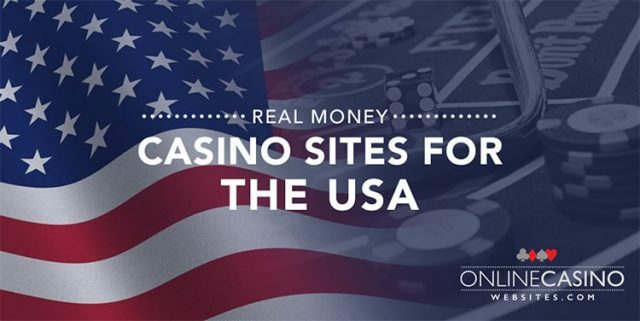 This means the online gambling industry continues to thrive within the American market, although all of the money is going to offshore casino sites instead of back into the American economy. In 2006, the House of Representatives and Senate passed the Unlawful Internet Gaming Enforcement Act (UIGEA) to help restrict online gambling in the USA by forbidding American banks from processing payments to online gambling providers. The changes to these laws meant many online casinos and poker sites chose to withdraw from the USA jurisdiction, leaving stocks in America-friendly gambling sites to plummet. Then came the emergence of online deposit methods like e-Wallets (Neteller, Skrill) and crypto currency (Bitcoin), which meant there has been no slow down of gambling online in America. After legislation changes in 2006, although most vendors have withdrawn from the US market, some of the offshore gaming providers that stuck around have changed how they operate so that they can operate safely without much risk of being shut down. Although any US players who gamble at offshore sites are doing so illegally, the focus is on the gambling operators rather than the players, so many players continue to ignore the laws without punishment. If you do decide to place real money bets at an offshore casino, be aware that you are doing so at your own risk and it is up to you and you alone to be aware of the laws that apply to you. Always use a VPN (virtual private network) for an extra layer of security. In more recent years, some states including Delaware, New York, Minnesota, Pennsylvania, Rhode Island and Kentucky have granted gaming licenses to some online vendors for certain types of online gambling, but the choices are very limited. Online gambling and its legality continues to be a hot topic in the USA, so bookmark our site and check back for future updates as they become available. It’s important to trust who you’re dealing with when making transactions over the Web, and the Internet casinos we recommend are trustworthy, reputable, have mobile device play options, have impeccable customer service and are legal for US citizens. All of the Web casinos we recommend utilise high quality security measures so that any transactions you make to or from your preferred online casino are completely safe from any third parties. Most use 128-bit secure socket layer digital encryption technology, which is the same technology that many major international bank use to safeguard their transactions. There are plenty of USD deposit options at offshore casinos, with American dollars being one of the most widely accepted currencies. You have to suss out the deposit options at your specific online casino as the banking options do vary slightly from online casino to online casino, and many traditional banking options like credit cards, debit cards and bank transfers are barred from US players. In general, though, you may have some of the following deposit options available to you when you’re a US-based player; Skrill, Neteller (with limited services available to US players), ecoPayz, Paysafecard, PayPal, Trustly and more. There are usually other payment types as well but these are the most common deposit options. Refer to the banking FAQ of an individual casino for further information, as the options can vary greatly. All of the best online casinos will have developed some way for you to play easily and effectively from a mobile device, whether that be a smartphone or a tablet. Some Internet casinos have even managed to develop real money gambling apps that you can download from the Apple app store or from Google Play if you have an Android phone. Online casinos have mobile versions of their sites that are designed to run smoothly on a mobile device. You won’t have access to its entire gaming library when you’re playing from a mobile device, but the games will run smoothly without lag and you can log into the same account that you would from a desktop computer and have access to the same funds. Typically you can play at an online casino from the following devices; iPhones (often requiring an iOS 5 or higher, however some older versions do work), iPads, Android smartphones, Samsung Galaxy phones, Samsung Galaxy tablets, BlackBerry phones, HTC mobiles, Java phones and more. All of the online casinos we have mentioned have quality customer service support available 24 hours a day, 7 days a week. Should you ever have any questions, queries or concerns you can direct these at the customer support section of your Web casino and expect a speedy and helpful reply. There will always be more than one means available to you to contact a customer service assistant. Each of these casinos employ real people so you can get direct help with whatever you need. Usually you will be able to talk to a customer service assistant via phone (though additional call charges may apply depending on where you are calling from), email and/or live chat functions. There are FAQ sections, too, if you have a broader question not specific to you. For slots enthusiasts, read our guide to online slot games for USA players.